SkyDrive Pro enables people to synchronize their work documents from SharePoint to the cloud, and also take documents offline when they're on the go. People can access or edit their documents across devices; files are automatically synchronized with SkyDrive Pro when connected online.After SkyDrive Pro is set up, you can save documents directly to SkyDrive Pro from Office desktop applications, or synchronize them directly from SharePoint. SkyDrive Pro comes with 7GB per user, as soon as provisioned and counted separately from Sharepoint allocation for a tenant. List and Library limits Different types of columns have different limitations. For example, you can have up to 276 columns in a list for columns that contain a single line of text. Page limits You can add up to 25 Web Parts to a single wiki or web page. Security limits Different security features have different limits. For example, a single user can belong to no more than 5,000 security groups. These plans have common boundaries and limits. The following table describes those limits. Storage base per tenant 10 gigabytes (GB) base customer storage. 10 gigabytes (GB) base customer storage. Storage per user (contributes to total storage base of tenant) 500 megabytes (MB) per subscribed user. Zero (0). Licensed Kiosk Workers do not add to the tenant storage base. 10 GB + 500 MB per subscribed user + additional storage purchased. For example, if you have 10,000 users, the base storage allocation is approximately 5 Terabytes (10 GB + 500 MB * 10,000 users), and you can purchase more storage. 10 GB + additional storage purchased. Up to 100 GB per site collection. 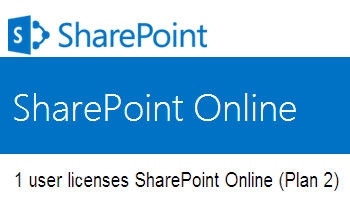 SharePoint admins can set storage limits for site collections and sites. The minimum storage allocation per site collection is 24MB. Site collections (#) per tenant 3000 site collections (other than Sky Drive Pro personal sites). 3000 site collections. 7 GB per user, as soon as provisioned. This amount is counted separately, and does not add to or subtract the overall storage allocation for a tenant. For more information, see Additional information about SkyDrive Pro limits. File upload limit 250 MB per file. 250 MB per file. NOTE If you have more than 500,000 users, please contact the Microsoft represenative to discuss detailed requirements. When reviewing the information on the previous table, remember that the base storage limits for Office 365 for Enterprises (10 GB + 500 MB per subscribed user) will affect some of these values. 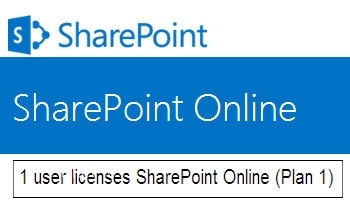 For example, although SharePoint Online for Enterprises imposes a limit of 100 GB per site collection and a limit of 3000 site collections, your particular tenant might not have enough storage available to contain 3000 site collections of 100 GB each. IMPORTANT It’s a good idea to monitor the Recycle Bin and empty it regularly. Content in the Recycle Bin is counted against the storage quota for a tenant. For example, if the Recycle Bin on a site contains 25GB of content, that 25GB is subtracted from the available storage. *Support is available in English or from an English-speaking engineer with a translation service for your location. You can either use the translation service or submit a service request in English.